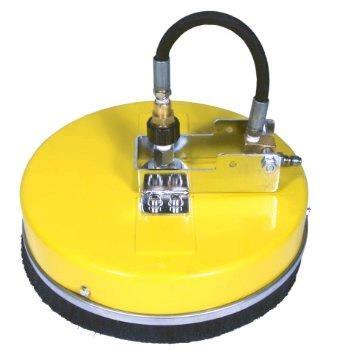 WHIRL-AWAY ATTACHMENT FOR A PRESSURE WASHER TO CLEAN WALK WAYS, WALLS OR ANY FLAT SURFACE WITH OUT STREAKING. USE WITH PRESSURE WASHERS UP TO 3000 PSI. * Please call us for any questions on our whirl away 12 inch water broom rentals in Portland OR, Gresham OR, Milwaukee OR, and surrounding metro area.